This is the latest interview in the series of Wirral greats. Kate is a modern example of athletic success in our club. 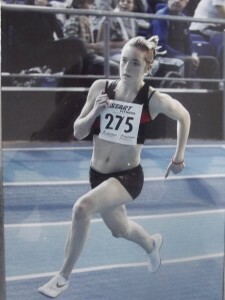 At just 18 years old her PB of 12.4 seconds in the 100m meant she was selected to run for Great Britain in Hungary. 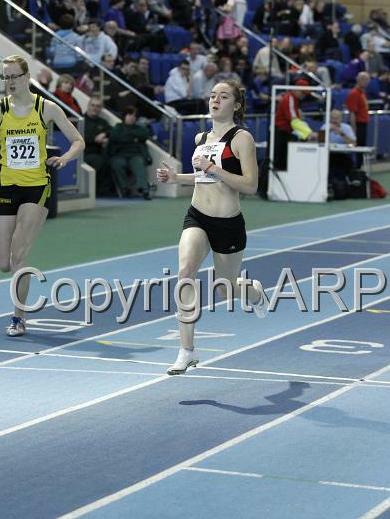 She qualified twice for the English schools championships as a U20 and won the Merseyside county championships twice as a senior. 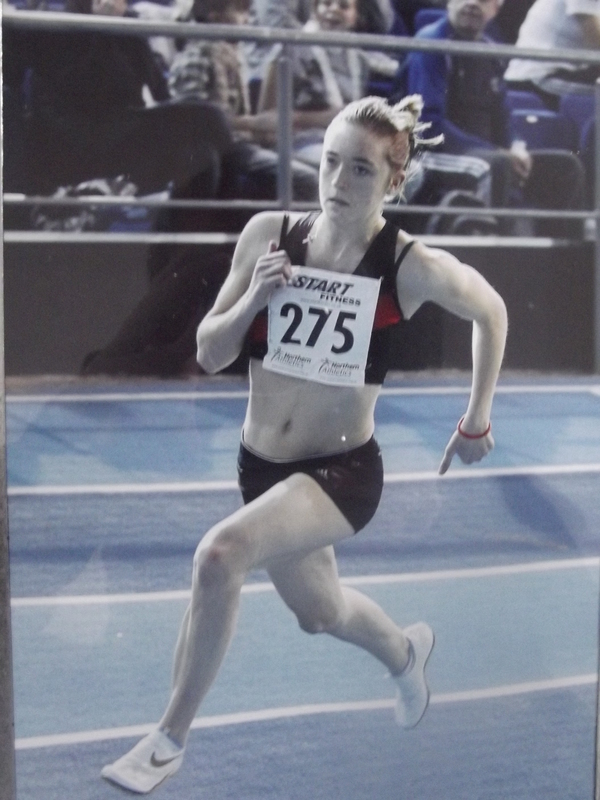 In the same year as her England selection she finished 4th in the Northern Indoors in the 60m final, although she was disappointed at the time this is her highest finish in a major competition. Later that season she was fifth in the Northern outdoors 100m and this was followed by selection for England. 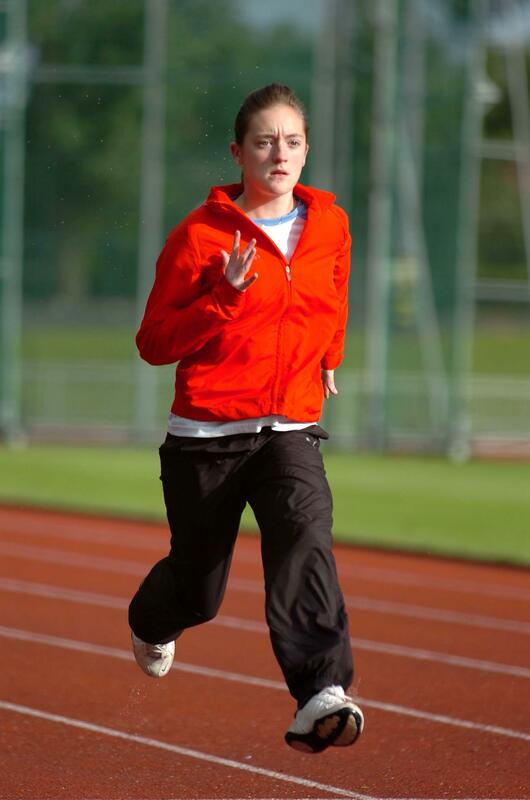 She received the WF Bushell cup for the best track performance in 2007 and a medal in 2008 for representing England. Kate’s achievements and hard work means her name has joined those of other Wirral greats on the Club Honours board. Although her career was cut short by injury at a young age, Kate is now a sprint coach at the Club, helping to develop the next generation of Great Britain sprint stars. What influenced you to become an athlete and at what age did you start training? The person who first influenced me was my teacher from school. When I was seven my school thought I was quick so my dad brought me to train with Wirral AC. I started training in Margaret and Maureen’s group at seven and a half. Did you do any other sports as a young athlete and how did you balance your athletics with your school life? When I was younger I played a bit of football, a bit of netball, little bits of everything really. Truthfully I wasn’t too bothered about getting my homework done, all I wanted to do was run so it wasn’t a problem really to balance it out. I don’t think I ever missed a training session except for when I was injured. At what age did you achieve your first AAA grade one standard and how did it feel? I was about fourteen, probably back in 2004. I felt like I’d achieved something because when I was younger I used to lose all the races and never won any medals. It gave me something to work towards and made me feel like I could do something. Did you have any injuries or difficulties that impacted upon your athletics career? I had my first major injury at thirteen. I had over pronation of the foot which put me out of running for two months. I had a slight knee injury, Osgood-Schlatter’s disease, which kept me out for six weeks. I got a hairline fracture of the foot whilst running the Northern Indoors and now I have a lack of cartilage in my knee which has stopped me running. How did it feel to be selected to run for England and what was the experience like? I had mixed emotions about it, happy, excited nervous. I was only eighteen at the time and the experience was like nothing that had ever happened before. Though I was the youngest by six years I was just happy to be there. I didn’t care if I got injured or lost the race because it was the best feeling in the world. It was a great achievement after running for ten years and I finally felt that I had achieved my goal and what I’d set out to do. What was your training schedule like at the time of selection? I was selected to run in August only a week before the competition so I had a short time to prepare and it was really hectic. However, I’d had a good season and was ready for it. At the time I was doing pure speed work in training and running a lot of 150m reps. During the winter I’d been doing speed endurance which consisted of 200m and 300m runs. I’d just started using Kettlebells that season but was doing no other gym work. At what age it you start weight/gym training? I was doing kettle bells at 18 but didn’t really start gym work until later on. I only got into it when I was 22 years old and I’ve done quite a bit over the past few years to maintain my fitness as I haven’t been able to train due to injury. What was your relationship like with your coach? relationship over that time and he got to see me grow up. How does it feel being a coach and was the translation into coaching difficult? It was definitely not difficult at all. I think as a coach I can use my experience and give it to the kids who are running now. For example, I’ve run the Northern Championships and other big competitions and I know what it feels like to do them for the first time so I am in a position to help and advise the younger athletes. I’ve coached since I was fourteen and I’ve done it on the side ever since whenever I’ve had time. Do you have any advice you would like to give budding sprinters or other young athletes? It doesn’t matter if you lose. Everyone wants to win when they’re young but it will come in time so it doesn’t matter if you are not getting the medals. Don’t push yourself too soon and do what you want to do.